I've camped in this place many times. It's a beautiful desert north of Yuma, south of Quartzite, home of indigenous palms, bighorn sheep and antelope. You can pull off the road in the BLM land outside of the refuge and camp anywhere. The desert pavement is old and burnt. Wandering out of camp, everything seems ancient and untouched for hundreds of years. Ironwood trees are few and far between and the firewood you find is bleached white from seasons in the sun. It's a truly beautiful place. 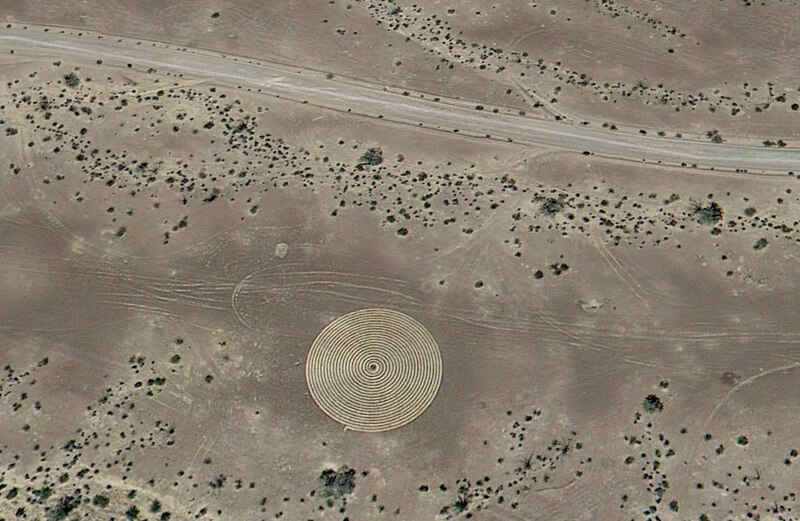 It's about 90ft in diameter and 160ft from the road, so it might not be visible from the road. I know the dark desert pavement scrapes away easily to reveal lighter material underneath. It's so defined it's almost as if it's piled up material or even trenched. The map photo was taken in 2013. 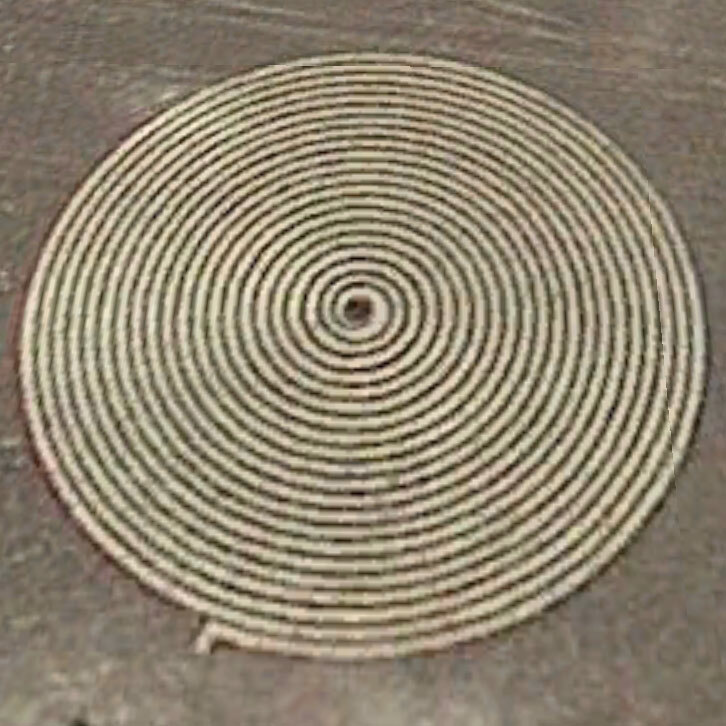 Using Google Earth's history slider you can see the spiral wasn't there in 2010. A spirit walk? 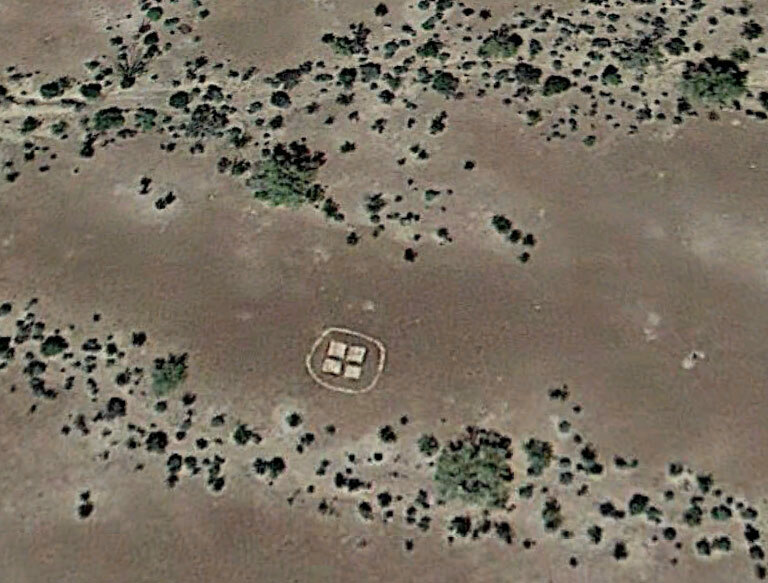 Land art? A celebration of 2012? I've combed the internet and found nothing. I'm going to go out there this winter to take a look. The very next day after posting this, friend and Wee Gallery artist Stu Jenks jumped in his truck and took the 4hr ride out to the location. He messenged me for a couple details on how to get there and voom! 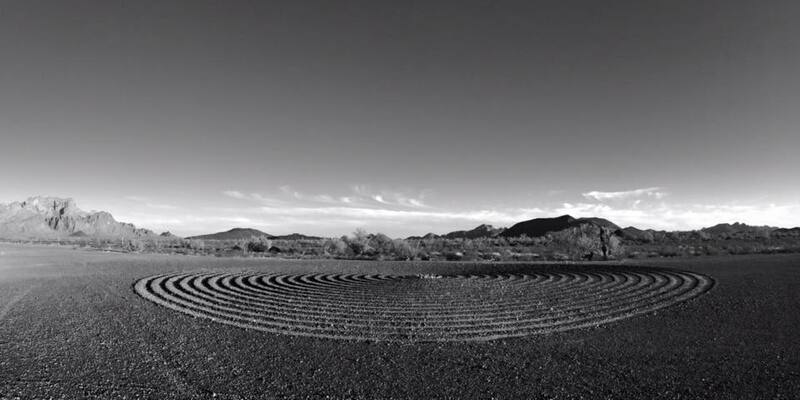 4hrs later he was standing in front of a spiral "meant for meditation". It was what I thought, carefully raked desert pavement with a path of lighter colored sand. Mystery solved! !